It’s Monday and it’s just a few hours before the second predicted EX invite raid is about to happen. To break the anticipation we’re rounding up the latest and greatest news from this week. Despite it’s offensive content, this act of “virtual vandalism” attracted a number of players to take pictures with the world’s first Pokémon GO in-game graffitti. 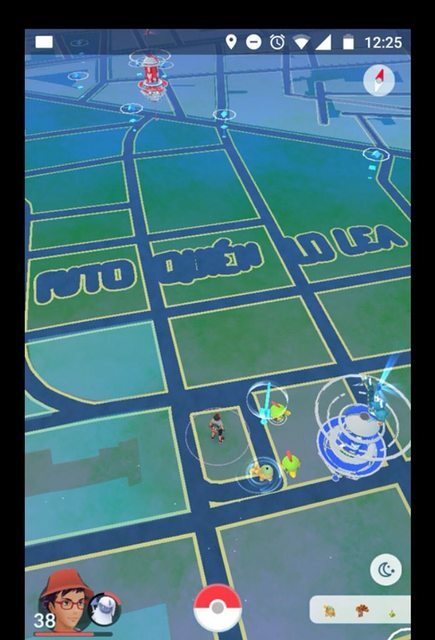 The text was already removed from the OpenStreetMap data set, but it will remain in-game visible until Niantic imports a fresh new set of OSM overworld data. Dear reader, remember that OpenStreetMap is a free and open source system that’s used by millions of people every day. You may think that acts of “map vandalism” are funny, but be aware that drawing additional streets on a publicly available map can lead to unforeseen consequences: navigation failures, car crashes and injuries. We’re very excited to see how this new infrastructure will keep up with the growth we’ve experienced in the recent months. If you experienced periods of outage in your region, this is the reason for it. With a full lineup of Machamps, Cloudy weather and some luck, the Duo managed to accomplish a perfect raid and defeat Aggron with 0 remaining seconds on the timer. Our Aggron guide will help you defeat this Raid boss in style. The post News roundup: OSM vandalism in Spain, the Hub servers updated and world first Aggron duo raid appeared first on Pokemon GO Hub.